﻿ Room Rates of Inner Mongolia Grand Hotel Wangfujing Beijing , We provide Inner Mongolia Grand Hotel Wangfujing Beijing room booking at lowest price! 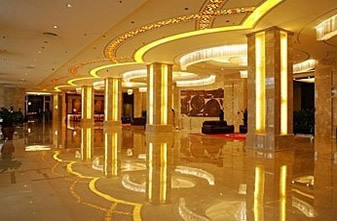 Inner Mongolia Grand Hotel Beijing is provided with 339 suites of guest rooms, including standard rooms, single rooms, business rooms and suites. The rooms, comfortable and clean, are equipped with advanced facilities with warm and elegant environments. 30 square meters of exquisite space, Standard Twins/Double Room with two sinlge beds(120cm X 200cm) or a king-size bed(180cm X 200cm). Room rate includes single or double occupancy. High-speed internet free. Non-smoking available. 40 square meters of exquisite space, Deluxe Double Room with a king-size bed(180cm X 200cm). Room rate includes single or double occupancy. High-speed internet free. Non-smoking available. 70 square meters of exquisite space, Deluxe Suite with a king-size bed(200cm X 220cm). Room rate includes single or double occupancy. High-speed internet free. Non-smoking available. * Extra bed is RMB180(USD28)per bed per night. © Copyright © 2010-2013 WWW.INNERMONGOLIAGRANDHOTEL.COM. All Rights Reserved.